General Music Discussions - Your Favorite Song Today? Topic: Your Favorite Song Today? Subject: Your Favorite Song Today? IQ - "Closer" from the album "Frequency"
Like early Can as an 80's new wave or dark wave band? Vangelis' "Blade Runner Blues", but if you insist on the presence of the lyrics, I would have to say ... Oh! PG's "Intruder"! Somewhat corny lyrics, but the music, man ... you just can't pin it down. ^ A flashback: that was mine two years back when I moved to the apartment I still live in. Boy, was I so into Drake and ADII. I still have those mysterious chords written down, but they are buried somewhere where they shouldn't be. Cardiacs - "Ice a Spot and a Dot on the Dog"
Damn it! I should have said The Bee Gees' "Bury Me Down by the River" (for an actual song with the lyrics), but the OP said "no excessive thinking" or something like that. I must have had quite a few songs go through my head yesterday. But since I've only heard the Suffocating The Bloom album ONCE (shameful, I know) listening to that now. 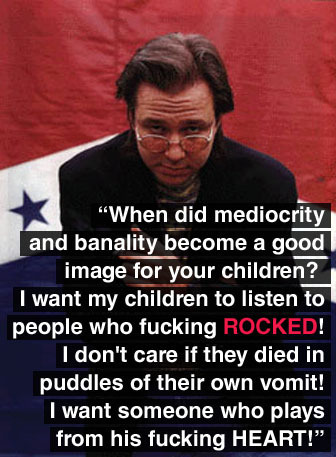 Seriously though, that's the best album from the 90's to the present! Every song is so good... My favorite song today is Memoirs From Between I guess! You can think excessively if you want - it's just not required. Anyway, I meant for this to be a daily kind of thread, so you can change your mind as often as you want. I noticed that every day there's a certain song that hits me in just the right way, and this thread is meant to highlight those little moments. Enjoying everyone's responses so far! Raindrops keep falling on my head, because it was used in Spy Hard, which I watched recently. Motorpsycho - Painting The Night Unreal. Vapour Trails by Pekka Pohjola! That song hits me the right way every time I listen to it. Great song; it has good lyrics, cool chord progressions, the performance and composition are really tight, it's catchy, and Alex somehow manages to play an interlude consisting basically of a major scale, and to make it sound very interesting and creative. The Exit Stage Left version is even better than the studio version, but they just had to cut the second verse out . The Residents - Sinister Exaggerator. Easy Livin' by Uriah Heep. I like the fact that it is about becoming a Born Again Christian. A modern-day warrior, mean mean stride, today's TOM SAWYER mean mean pride. Punch & Judy!! by Marillion. Love the speedy power of that song. ^ Hell yeah! Love that song. How about one more? Try not to repeat any song you post. ^I dig it! A lot! Actually, someone asked me yesterday what he should do, because his favorite song hasn't changed for years. I advised him to just go ahead and post the same song every day. So I'll have to allow it now. I saw today that Dead Can Dance have released a new album after 16 years, and they've made it available to stream for free! I really like it. Great sound. 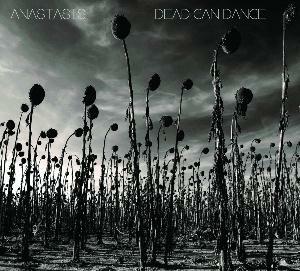 Dead Can Dance - Kiko kind of a turkish/middle eastern rhythm in odd meter, but slow tempo .Very cool. Dead Can Dance - All in Good Time I think this is my favourite, nice harmonies and atmosphere. Glad to hear, Pastor. That whole comp is amazing. Mine is from Crippled Black Phoenix the song 'Fantastic Justice'. It stuck on my head all day, and I'm listening to it right now! And the music, oh ... the production ... M-M!! Nice one Andrey -- that Drift album is one of the 5 most haunting records I've ever heard. Walking on Air by KC. Off-topic and out of curiosity: what are the other four?